In 2010 and 2011, I was involved in the Business Development of eLinea in Belgium. The concept has since been re-invented. Before, you would subscribe to a news feed and pay per feed. Now eLinea evolves towards a “spotify” model. For a fix sum per month you can read all the feeds that you want. Flipboard is a great eReading application on the iPad. It allows to read Internet feeds (like RSS) and transform it in a nice kind of eBook. You can flip the pages of your RSS feeds as if they were an eBook or a magazine. 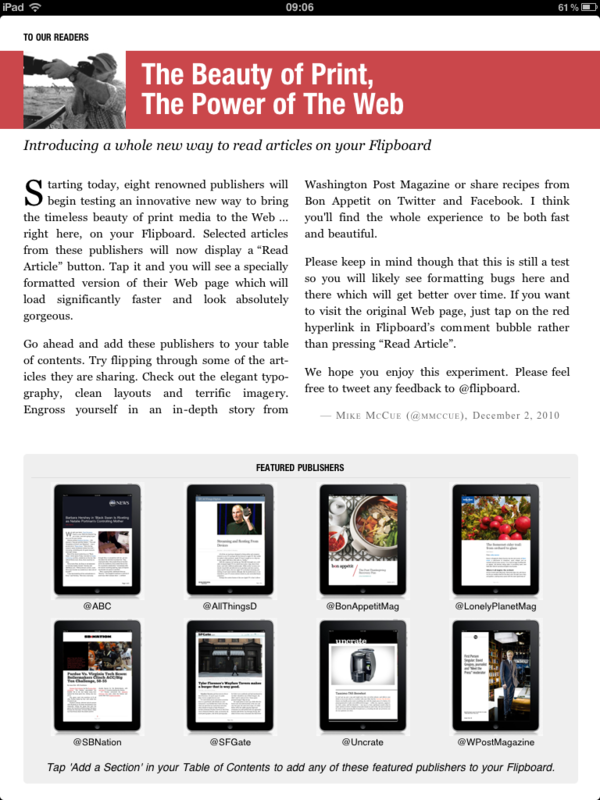 This means that you can now use Flipboard to read magazines. How user payment will improve journalism | BetaTales: “… the real value of a newspaper is not necessarily the individual pieces of content, but how they have been put together into a package. I just created a new website for eLinea. The goal is to promote it in Belgium – French Speaking part.